To keep your cat happy, curious, and in good physical and emotional health, consider a different play approach and different toys this Christmas. 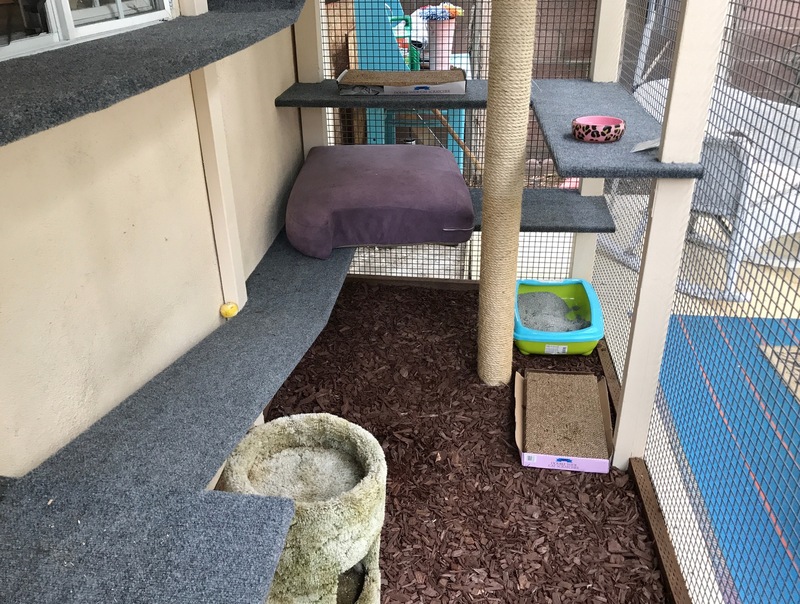 A climbing tree, perches on the wall angling up to the ceiling and a porch or Catio with ladder walkways and hammocks increases their activity. Food stuffed into Smart toys (toys with openings that allow food to dribble out when smacked around) and hiding meals in different bowls placed around the house engages their brain. Rotate their toys to make them seem new and more interesting. Toys that buzz, move, light up and even talk with your voice makes life more interesting (plastic squeak toys are a thing of the past). There are even cat entertainment Apps that can be downloaded on your tablets! In addition to help cure boredom, see the many additional benefits catios provide our furry friends.